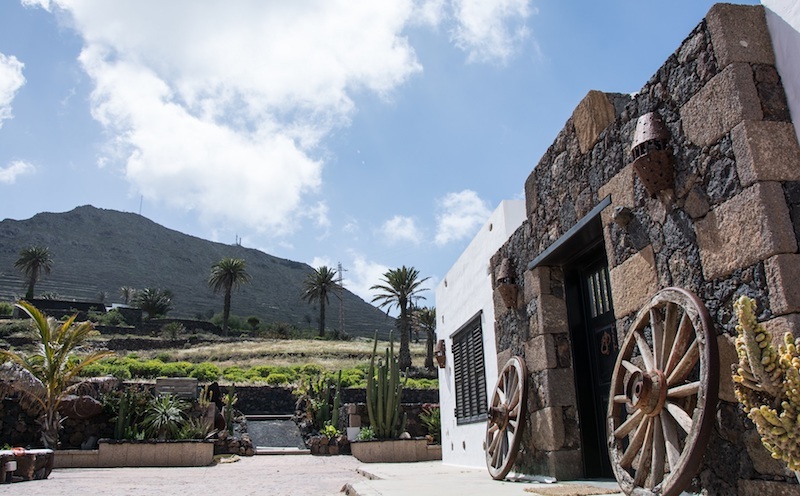 The Hotel Los Fariones is located right on the beachfront and is set in wonderful gardens full of native plant species and also has direct access to the crystalline waters of the Atlantic Ocean. The hotel VIK Hotel San Antonio is located on the seafront at the Playa de los Pocillos, the hotel offers all the facilities that you need to have an unforgettable holiday. 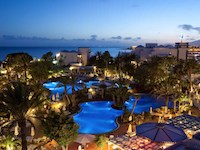 The 4 star Hipotels La Geria Hotel is located in b>Puerto del Carmén, Lanzarote, and has 242 comfortable and spacious rooms distributed in four floors. It is ideal for your family holidays in Lanzarote. Club Oceano is perfectly located in a quiet yet central part of Puerto del Carmen. It is just 300 metres to the beachfront promenade, so just a few minutes’ walk to the main beach, shops, restaurants and bars. The complex is just a few minutes drive from the golf club and our dedicated reception is there to help you organize any aspect of your stay. Localizado en Puerto del Carmen y a tan sólo 200m. 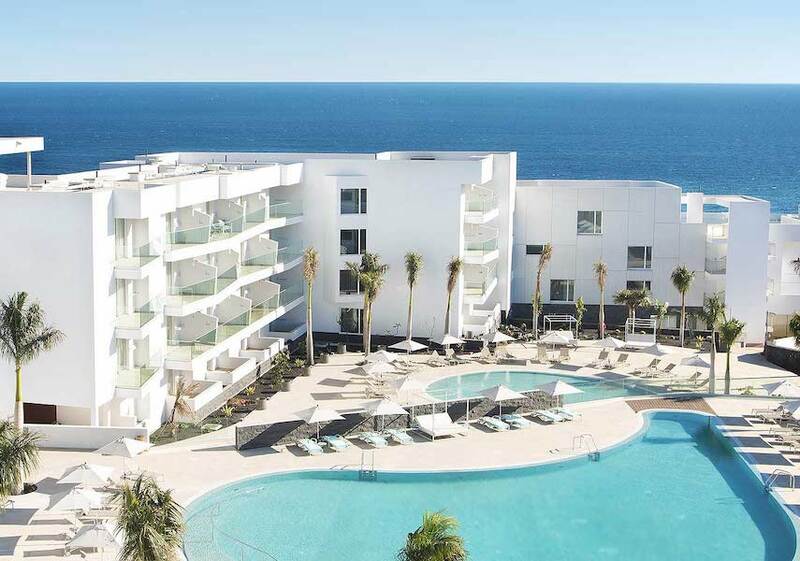 de la playa, el hotel SENTIDO LANZAROTE AEQUORA Suites es un complejo hotelero de nueva construcción que destaca por su moderno interiorismo y por la calidad y variedad de sus servicios. A tan sólo unos minutos del campo de Golf es el lugar ideal para descansar y disfrutar de su deporte favorito. The hotel is located just 10 km from the Timanfaya National Park, 900 metres from the picturesque fishing village of Playa Blanca. Is located in on the seafront and offers its guests a garden and pool area of 52.000m2. Furthermore, we offer 269 comfortable rooms with spectacular sea views. …. 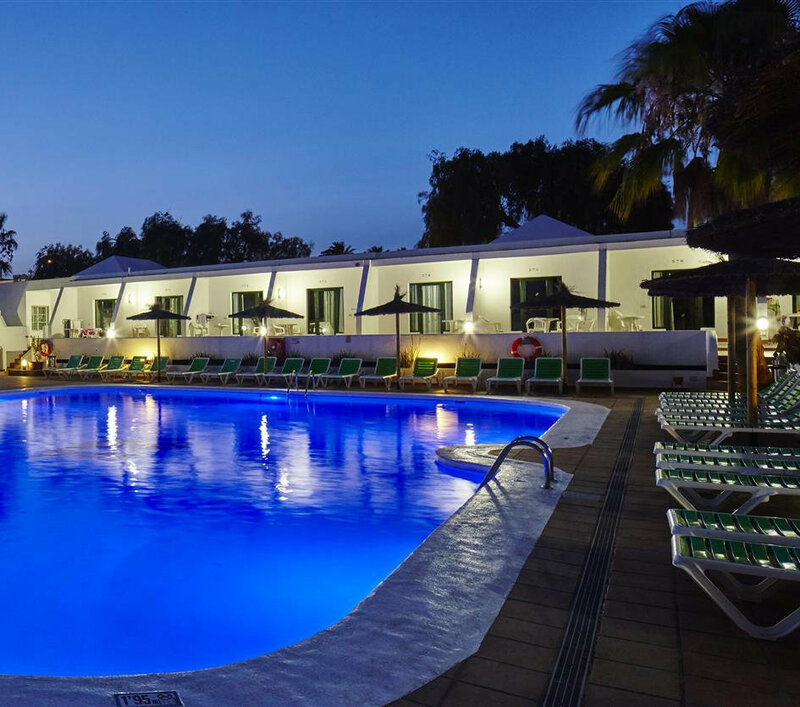 The Teguise Playa hotel is located directly at the beach of the small bay of El Jablillo, within the quiet and exclusive area of Costa Teguise. The distance to the Airport is only 14 km, 10 km to the capital Arrecife and 2 km to the Costa Teguise Golf Club. 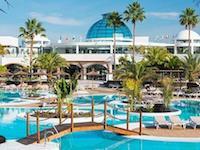 Barceló Lanzarote Resort****, formerly known as Hotel Barceló Suites, is situated on a quiet part of Costa Teguise, one of the most popular tourist hubs in Lanzarote.